Welcome to Sundeck Supply Inc. Welcome to Sundeck Supply Inc.! 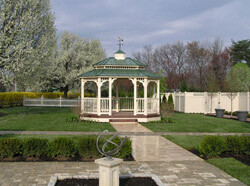 Established in 2005, we aim to provide homeowners and contractors with a one-stop shop for your outdoor living needs. Located in Burtonsville, Maryland, Sundeck Supply Inc. is a distributor of wood and composite decking and railing, fencing, hardware and fasteners, gazebos and all other materials needed to design and create your outdoor oasis! Come visit our showroom and outdoor Design Center to see complete, full sized displays! We are always happy to provide a no-obligation quote on your materials or to help you figure out which product best fits your goals and budget. We are open from 8:00am until 5:00pm Monday thru Friday (weekend hours are available by appointment). Sundeck Supply Inc. is committed to providing competitive pricing in and around the areas of Laurel, Fulton, Highland, Columbia, Silver Spring, Clarksville, and Ellicott City, MD. Our full product line is also available via delivery to VA, DC, WV, DE, and PA. We also offer a wide range of great products including Arabian, Azek, Enduris, Fairway, Fortress, TimberTech and Trex. Our professional and courteous staff awaits you!